Cities like San Francisco, Mexico City and New Delhi have the lowest prices within the range of USD 2.80 - 3.50. In Buenos Aires a Starbuck Grande Latte cost around USD 4. In Europe cities like Lisbon and London comes out well with similar price levels. 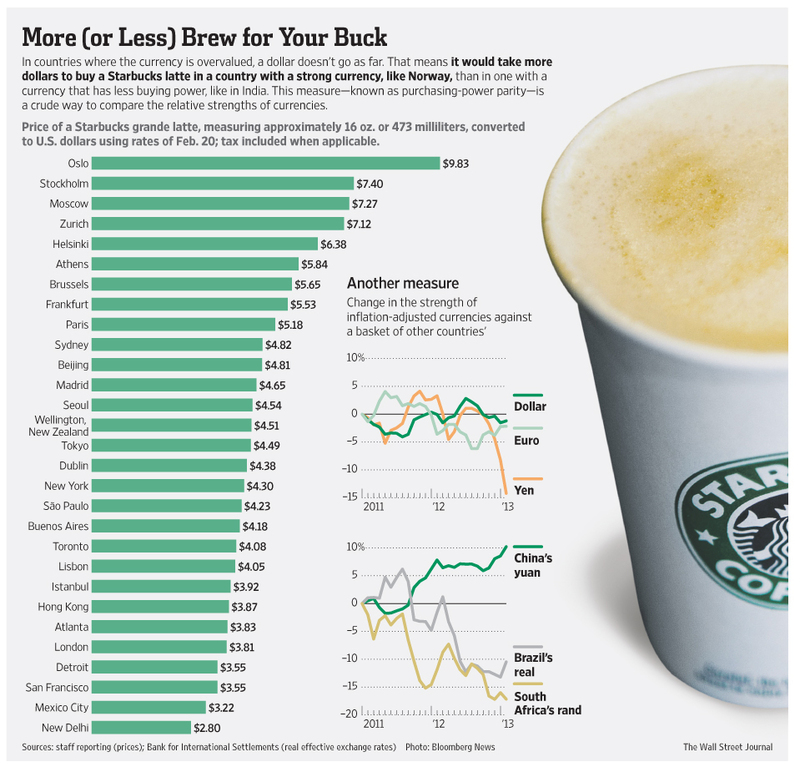 Oslo is the most expensive city in the world with a Starbuck Grande Latte costing as much as USD 9.83. More in Wall Street Journal here.